High Park / Parkdale Employment & Social Services provides drop-in services and resources to help you during your job search, and issues financial benefits through Ontario Works. Help us keep the air we share healthy. Please do not wear or use scented products when visiting our offices. TTC Directions: From Dundas West subway station, take the 505 streetcar to get to 1900 Dundas St. West. You can also call the TTC at 416-393-INFO (4636) for directions. TDSB will be on-site the 2nd Friday of every month from 10 a.m. to noon to provide information, assessment and referral to the Essential Skills Upgrading Program (help with English literacy, basic math and computer training). A housing worker will be on-site the 2nd and 4th Thursday of each month from 1 to 4 p.m. on a first-come, first-served basis to provide support and assistance with housing applications. 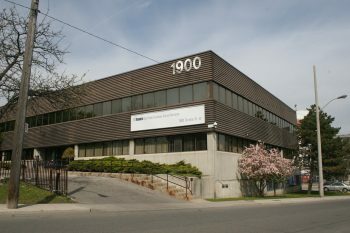 The ID clinic runs every Tuesday from 10 a.m. to noon on a first-come, first-served basis to assist individuals without a permanent address to secure the following documents: Birth Registration, Canadian Birth Certificates (wallet size), Verification of Status replacements (formerly known as Record of Landing) and Ontario Health Card. A settlement worker will be on-site every Tuesday afternoon from 1 to 4 p.m. to provide free and confidential help with immigration/settlement adaptation, education and employment preparation, volunteer work, childcare, language classes, citizenship and housing. A law student will be on-site the 4th Friday of each month from 1:30 to 4:30 p.m. to provide information about how and when to apply for a criminal record suspension. 1 to 4 p.m. for one-on-one meetings to assist with labour market research, resumes, cover letters, social media profiles and connecting with employers. For more information or to register please contact your caseworker or call 416-338-8888. All services are by appointment, unless indicated above as a drop-in service.